Cake and candy make a great “Sweet Zone”. 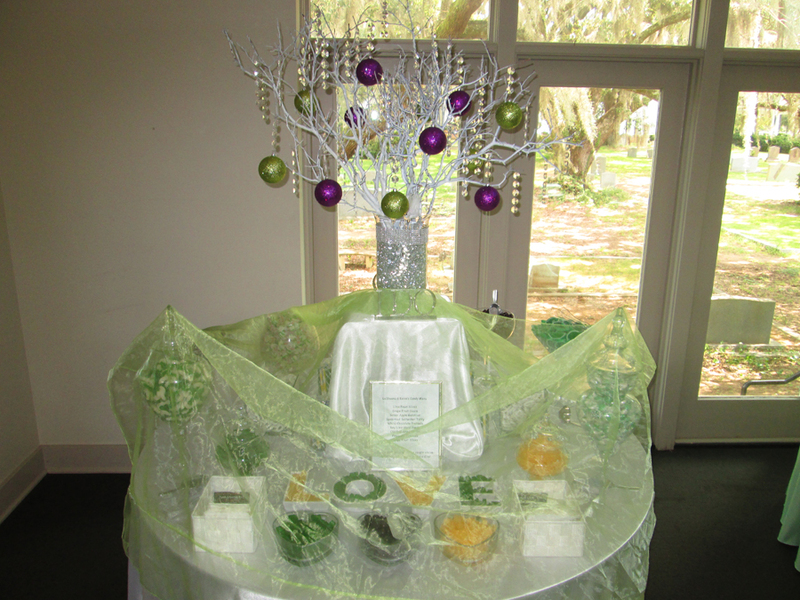 Cake by Artistic Cakes by Linda. 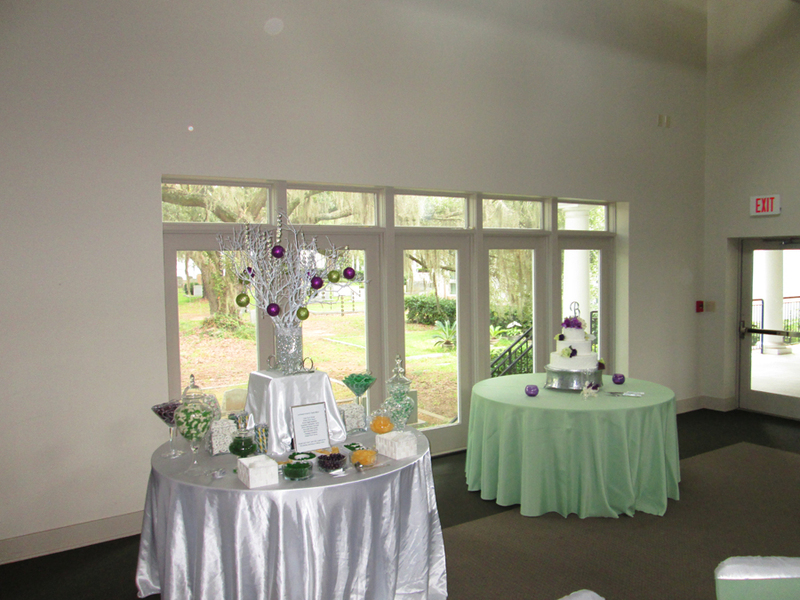 The green candy in the candy buffet matches perfectly with the sashes and runners on the tables. 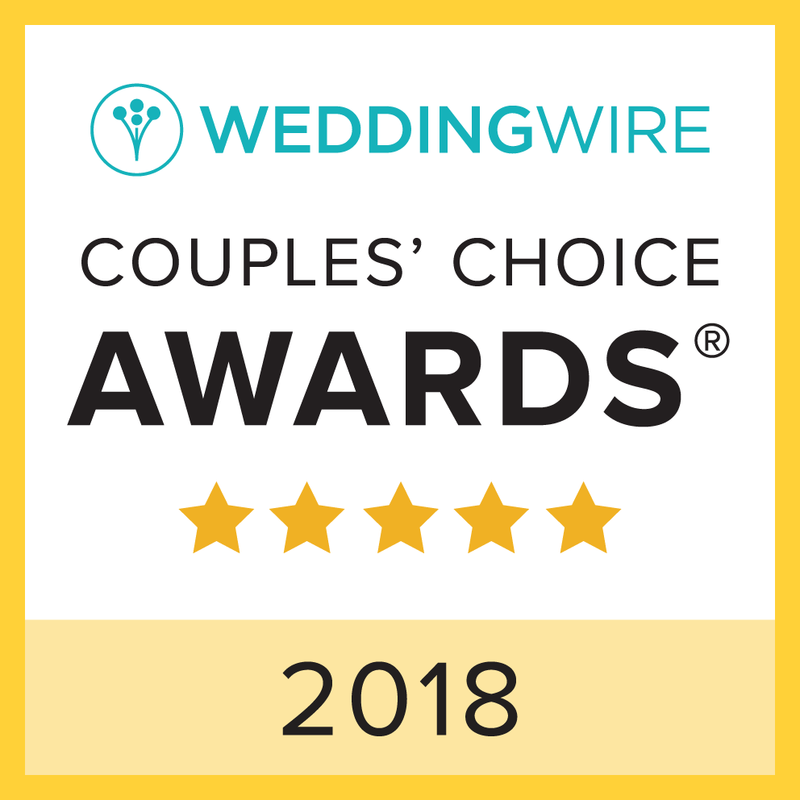 Sashes and runners by Covers by Nicole. 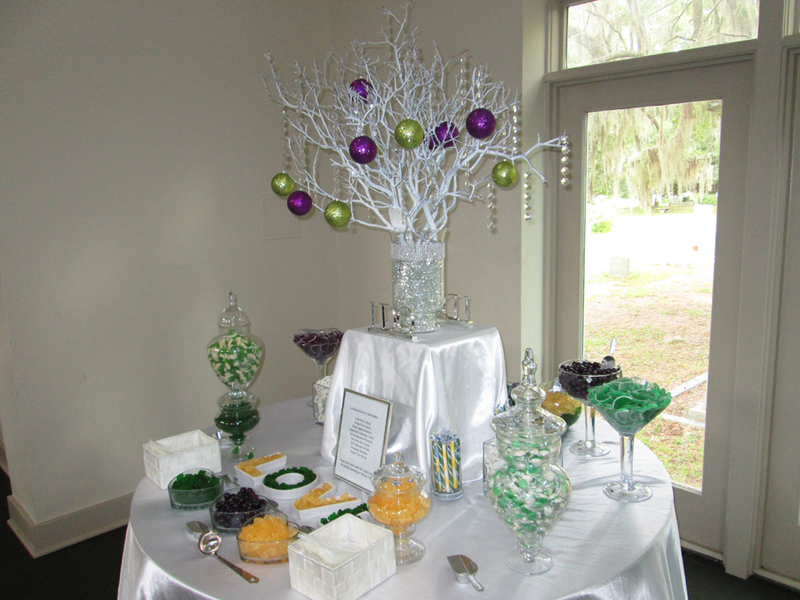 Charleston wedding planner – a centerpiece with matching colors and crystals can really add to a candy buffet. 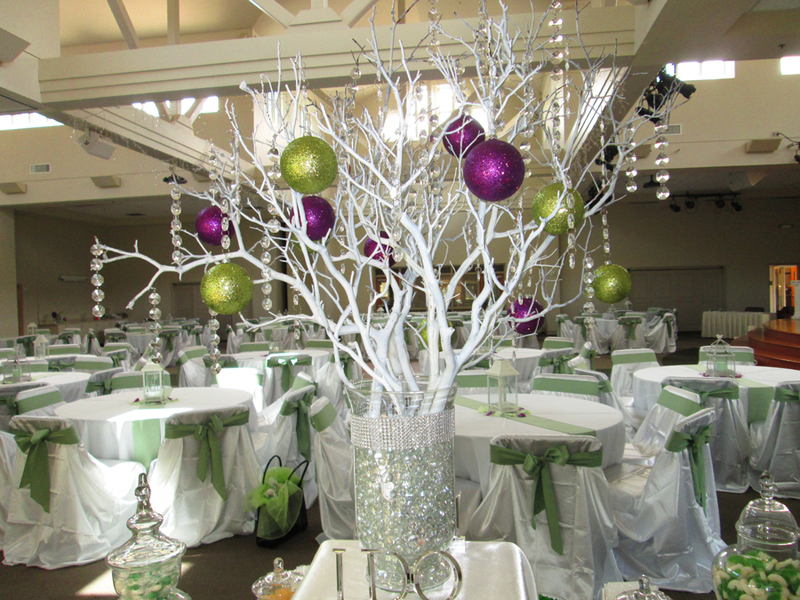 We particularly recommend having a centerpiece when using a round table as it can be difficult to reach candy in the very center of a table.